Bob Brozman – Traditional Caribbean Guitar Calypso & Other Island Rhythms. The wild pulses, danceable rhythms and playful lyrics of the Calypso will spice up your guitar arrangements and inspire your playing in a new tropical direction! Brozman shows you how to use fingerpicking and strumming patterns, moving bass lines, percussive strokes and other techniques to capture the distinctive syncopations of the Caribbean style. Working in a variety of keys, he analyses a variety of rhythms including the calypso, tango, samba, waltz, mazurka and Latin jazz. Learn a host of songs for the price of one, as hundreds of calypso tunes are based upon the components revealed here! 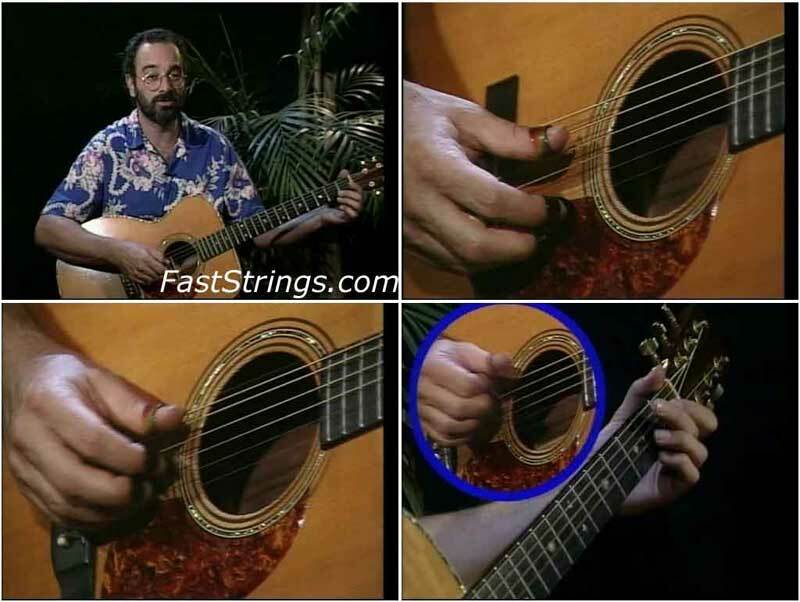 You’ll enjoy this lively hour and a half lesson with Bob Brozman even if you’ve never thought much about adding tropical sounds to your guitar playing before. In a relaxed and informal manner, Brozman plays and demonstrates several approaches to Afro-Caribbean rhythms using songs including “Uncle Joe,” “Down the Road,” and “It Happened in Monterey.” He emphasizes the ways that melodic and storytelling aspects of these songs support each other, and gives tips on fingerpicking and strumming patterns that work with salsa, samba, calypso, and Latin jazz interpretations of them. Then, as he says at the end of the tab/music booklet which accompanies the tape, it’s up to you to mix and match to create interest .Thanks to Brozman’s instruction, you’ll have solid skills to do that on your own.